I’ve been sitting on this idea for too long. It is time to share it so that someone with the resources can take it and run with it. I don’t care about credit. Considering the topic, let me clarify: I don’t care about getting any credit for this idea. 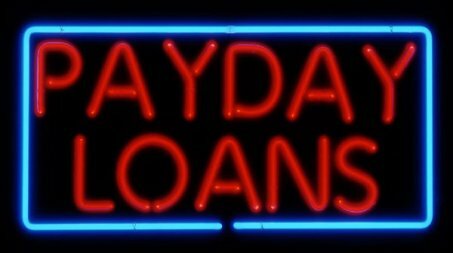 It is time to do something about the predatory lending practices of Payday Loan Companies. Here’s a really “Jesusy” idea. Some Christian or Christians with abundant financial resources ought to rent a place next door to every Payday Loan shop. Ok, let’s start with just one; you pick. With the same of similar standards of identification and verification of income or employment, this Jesus version of Payday Loan would have the same supply of funds available as next door, but with one very clear difference. Christians don’t charge interest to poor people. I have been caught in the nearly interminable cycle of this sort and have some sense of the affect interest has on this sort of loan. I never did a payday loan, but visited pawn shops, sometimes just to make an interest payment, more than I care to admit. Many, many people in our culture need to be liberated from this debt cycle. no-interest loans will not do this alone, but it might provide the relational space within which to offer the kinds of help that people need to step out of the cycle. Rich Christian, please consider this! I think it is a great idea! It could even be taken a step further and give them some kind of “Financial Peace” type education along with the free loan. Yes! I think this kind of place might actually be able to begin that kind of conversation with people. Let’s not forget the credit card companies with their fees, late charges, and interest rate changes. How will you pay for the shop you rent next door if there is no charge? Who will pay the electric bill, the phone, the employees, their taxes and all the fees associated with running the place? Who will cover loans never repaid. Believe it or not there are some people that cannot have a bank account. They may have bad credit or a history of overdrawing accounts. Some people use the Pay Day Service to escape having a record of funds received. This is why I invite rich Christians – we will NOT make money off of poor people. I realize not everyone who uses payday loan services is poor – perhaps there could be a sliding scale of interest charged – but reasonable interest, not the 360% or more charged by the for-profit entities. Will you still reckon there to be such a thing as “credit-worthiness?” Some of the poor people I’ve worked with over the years need this kind of service because their cash flow is wrecked by addiction (drug, alcohol, gambling, acquisition, etc.). I completely agree – there is a need for this kind of service! They do not need to be charged what amounts to an annual interest rate of 360% or more, which is what the for-profit payday loan places charge. Yes, I call it Jubilee Bank.